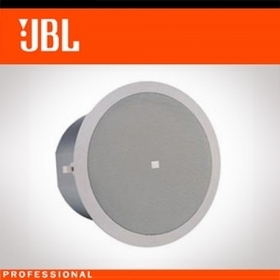 JBL 컨트롤 천장 스피커는 높은 파워 처리 능력과 과부하 보호 회로의 내장 및 뛰어난 음질을 가지고 있습니다. 하여 청취 범위 구석구석까지 넓고 고르게 음향을 전달해주며, 별도의 장치 없이 천장에 설치할 수 있는 것이 특징입니다. 천장에 매달기 위한 브래킷이 제품에 포함되어 있어서 원하는 위치에 단단하고 안전하게 고정할 수 있습니다. *Use instead of standard 6.5" driver. Fits standard backcans for 6.5" speakers. *Comes complete with transducer, net-work and transformer. *Advanced crossover network provides natural sound and even coverage throughout listening area. *Coaxial woofer with long-life butyl rubber surround and titanium coated tweeter.